I have some nice hardware to sell or trade. If you are interested in one of these items, feel free to send me an e-mail for more info, or to make a nice offer. 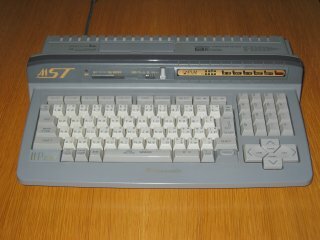 MSX turbo R computer. Memory is expanded to 512K, and it has a connector for a second diskdrive. Computer is in a good state and is fully working. 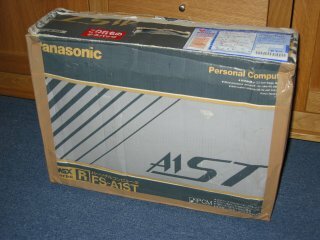 I also have te original box which is unfortunately rather damaged as seen in the picture. 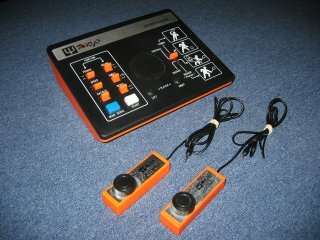 Pong console from 1977. This rare console was also sold as Mentor TG20Sport, Magnavox Color 4 and Binatone TV Master Mark IV. The 'joysticks' have minor damage but are fully working. It works with batteries or an external power supply.